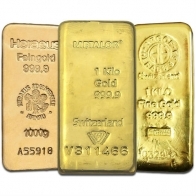 Buy low premium gold bullion bars for vault storage in Switzerland or for worldwide delivery. 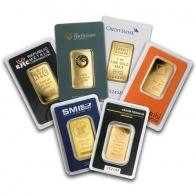 These gold bullion bars are all LBMA and Comex approved brands with a minimum fineness of investment grade 999 fine gold bullion. 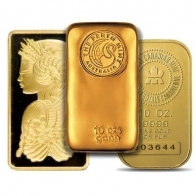 Low margin gold bullion bars are available in larger sizes, from 1 ounce to 1 kilogram. Wholesale gold bars are also available. These bars are listed at some of the lowest premiums available and are a good option for investors looking to build up a portfolio in gold bars. Low premium gold bars may be purchased using Bitcoin or Altcoins in addition to traditional currencies.